Swedish alt-pop artist AMWIN dropped her debut EP AMWIN In Wonderland on Friday and this gorgeous slice of UK garage-inspired pop is its lead track. Now some of you may be aware of the artist behind the moniker, Swedish singer Amanda Winberg. In 2015, she came second in Sweden's version of Pop Idol and successfully released a number of singles before deciding to reinvent herself last year with her track Uber. With its blend of hip hop, minimalist pop and outspoken attitude, the track drew early tastemaker support from the Line of Best Fit, Scandi-Pop and High Snobiety. Following singles, Living Mistake and DeLorean, have continued to garner more online admirers with the likes of Clash and MILK jumping onboard for her moody vibes and madcap lyricism. Dua Lipa is perhaps the poppiest of her six-track debut EP - not surprising considering it's a full-tilt love song with a gloriously nostalgic boppy beat and heart-on-sleeve lyrics. 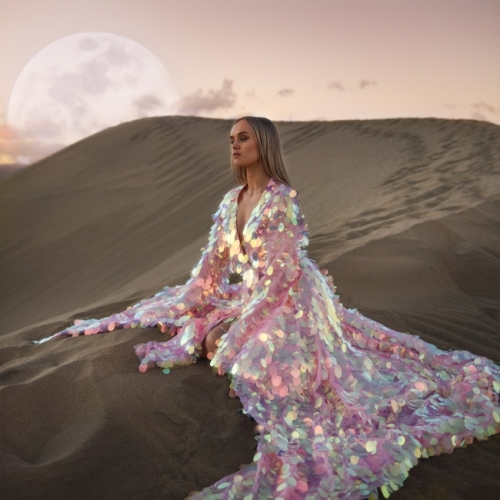 Featuring on her homeland Spotify New Music Friday playlist, the track and her EP show that we have an emerging Swedish pop darling on our hands and this one has a wicked bite and a restless attitude to fuel our alt-pop enjoyment. One to watch.